“I will speak of thy testimonies also before kings, and will not be ashamed. And I will delight myself in thy commandments, which I have loved,” Psalm 119:46-47. November the 11th, in Canada, we pause from all our activities for 2 minutes in remembrance of those who fought for our rights and our freedom. Our military personnel fought for justice and democracy in foreign countries. Please take 2 minutes to read diligently this letter. “A time to love, and a time to hate; A time of war, and a time of peace,” Ecclesiastes 3:8. In time of peace, we remember for whom our veterans fought; they fought for our next generation and all future generations. They fought for our freedom from tyranny and oppression. They fought for our freedom to choose our destiny. They fought for our religious freedom. They fought for freedom to consume whatever we want, and to dress in whatever we want. They fought for our freedom to travel whenever and wherever we want within our borders. They fought for freedom of speech, even when disrespectfully challenged by others, that also our opponents have the freedom to do. Close to 61,000 Canadians were killed during the First World War, and another 172,000 were wounded. 42,000 were killed during the Second World War. Many more returned home broken in mind and body. 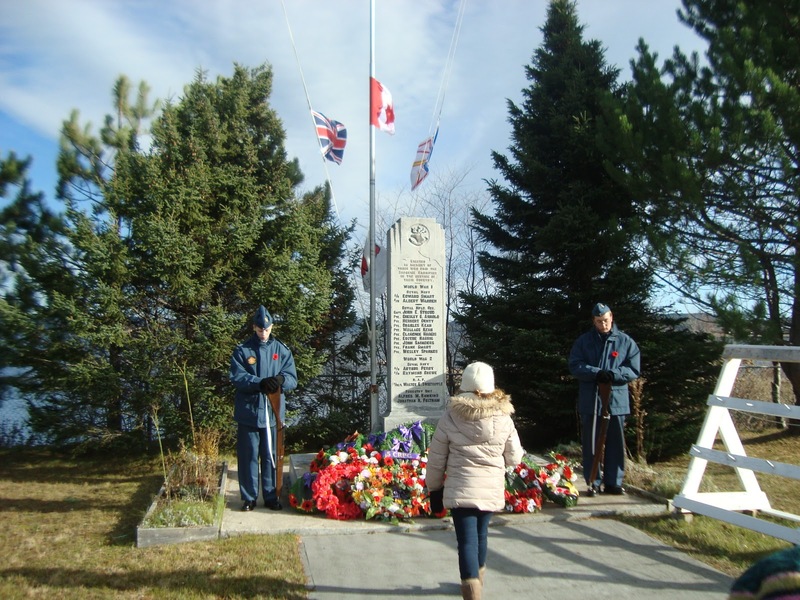 The small colony of Newfoundland of the 22,000 volunteers who served during the Second World War, some 1,089 died during the war, and many more were injured. His reward was to be passed over for Cabinet positions, languishing in the back benches. Nazism was a clear and present danger although not considered as such at first. Seeing the threat that Adolf Hitler posed when he rose to power in 1933, Churchill gradually became a leading advocate for British rearmament. By 1938, as Germany began controlling its neighbours, Churchill had become a staunch critic of Prime Minister Neville Chamberlain's policy of appeasement toward the Nazis. World War II was the deadliest military conflict in history in absolute terms of total casualties. Over 60 million people were killed. The casualties could have been much less if only Minister Chamberlain would confront the threat. British Conservative politician and statesman of the United Kingdom (30 November 1874 – 24 January 1965). Nazism was based on the ideology of imposing a pure race to the whole world, today Islam is the ideology of imposing Sharia Law to the whole world. Prime Minister Justin Trudeau and the member of his Liberal party do not view it as a serious threat. It is very obvious that Prime Minister Trudeau has an agenda to promote Islam against the will of the majority of Canadians. 69,000 Canadians recently signed e-petition 411, which condemned Islamophobia, which is an equivalent to 0.18% of the total Canadian population. Islamophobia is justified. Islam is a real concern for the majority of Canadians. M-103 is meant to suppress the concern of the majority of Canadians. I am well aware of the danger of Islam. I wrote an intensive commentary on my blog in February 2011. It is not my intention to bombard you with all kind of statistic and report of the havoc that the Muslim communities are creating found across the world especially in Europe. You know the danger and yet the liberal government continues in a direction that will bring havoc in Canada. Islam is not a religion of peace; it is a religion of peace only to those who submit to it. In Arabic, the word “Islam” means submission or surrender. Has Prime Minister Trudeau surrendered to Allah? Prime Minister Trudeau policy of appeasement toward the Muslims will fail, as did Prime Minister Neville Chamberlain's policy of appeasement toward the Nazis failed. Somali-born American activist, writer, and politician. I ask that you would take the time to review these three video links. What was the main cause for Sweden to lose their country? They have forgotten what made their country great. They had forgotten that it was the Judeo-Christian values that influence their social and political culture. The idea that all gods are the same god; not to take religion seriously became the norm of thinking, and so it has become in Canada. Whatever happened to Newfoundland motto, "Seek ye first the Kingdom of God?" The motto "Seek Ye First The Kingdom Of God" was officially recognized as Newfoundland's coat of arms on Jan. 1, 1928. It replaced the pagan "Badge of Newfoundland," in which Mercury, the god of trade and commerce, presents to Britannia a kneeling fisherman who offers her the gifts of the sea, presumably with the words of its motto, Hic tibi dona fero, "these gifts I bring to you." It really doesn’t matter whether you reject or adopt motion 103; God prophetic agenda is right on schedule. Rejecting motion 103 will extend God’s grace to this nation. What could be the purpose for God’s grace be extended? It would be to save souls. God is not is the business to save nations, He used nations to save souls. If you opt to adopt motion 103, it will accelerate God’s judgement to this once great [once Christian] nation. Adopting motion 103 is the beginning of the domino effect of the degradation of the Canadian democracy, the end of freedom and the beginning of chaos. The Coming World Religion is Islam, Not Interfaith. God once gave all Judah into the hand of the king of Babylon because of their disobedience, Jeremiah 20:4. Soon, God once again will use Babylon [Islam] but this time to judge all nations through the hand of the king of Babylon, THE LITTLE HORN, Luke 21:35.
Who came first, Jesus Son of God whom God has sent so that whomever [voluntarily] believes in Him may not perish but receive the gift of eternal life? Jesus, who died for us and commanded us to love one another just as He has loved us. Jesus who has warned us that there would be false prophets that would deceive many, or is it Mohammed who shows up 600 years later, proclaiming receiving a message from an angel, who instructed him to force conversion by means of threats and to kill if anyone refuses to submit. Mohammed, who denied Jesus as Son of God, but only proclaim Jesus to be a prophet? Jesus said, “I am the way, the truth, the life; no one comes to the Father except through me. Jesus is the way to the truth; the truth that will lead us to life, eternal life. The main theme throughout the Bible is “Believe in Me, Trust Me” The greatest difficulty man and woman faced throughout the Bible was to believe in God and to trust Him. From Adam and Eve to the end of the Book of Revelation, the Bible points out man’ struggled in believing and in trusting God. It does not only imply believing in His existence, but it also implies believing in His instructions. For an evolutionist, it is a dilemma, but for a Christian, it is the chicken. Now, what came first? Jihad terror or Islamophobia; the offence toward Muslim? Jihad terror.